On June 3, 2016 we left Kentucky behind as we headed into Virginia. It was a beautiful drive through the mountains, and for the most part uneventful. At one point while still in Kentucky we came across a State Police run. Pairs of officers were running and being followed by police cars, ambulances and an RV. If we had been running on this hot, humid day, that ambulance would have been needed. 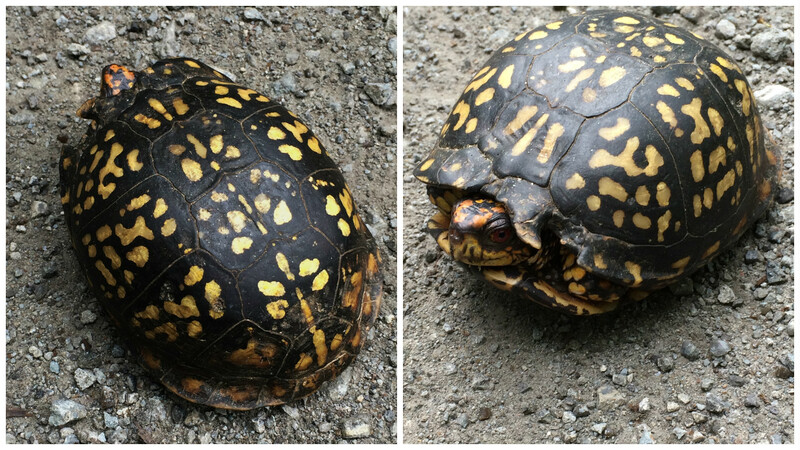 We were almost to camp when traffic stopped as we all tried to get into one lane. After sitting and creeping along for about a half-hour we found out why, a semi truck had caught on fire. The fire was out when we passed, but the cab of the truck was completely gone, reduced to a pile of burnt out metal. 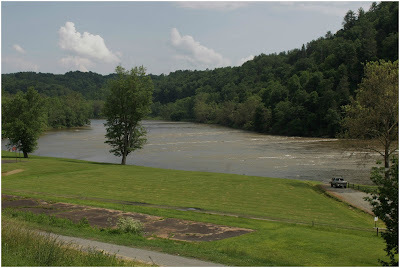 We stayed at the Fort Chiswell RV Park, it is just off of I-80 and I-77 which makes it a great place to stop overnight for anyone heading north or south. There is a large hill between the park and the expressway so it is very quiet. The sites are a little wider than average, some have cement pads, ours was gravel but very level. There is plenty of space to walk the dog, and each site has a picnic table. The park rules do include a section that says you can't sleep on the picnic table! There is a pool and a community room. The bathrooms and laundry are both clean and the office has a small store with your basic needs as well as local honey and jam. Mice! Yes, we still have them aboard. While setting up we found droppings in the kitchen drawers again. Everything got washed once more, but this time none of it went back into the drawers. Waiting to see if their gone before we put everything back and have to wash it all again. 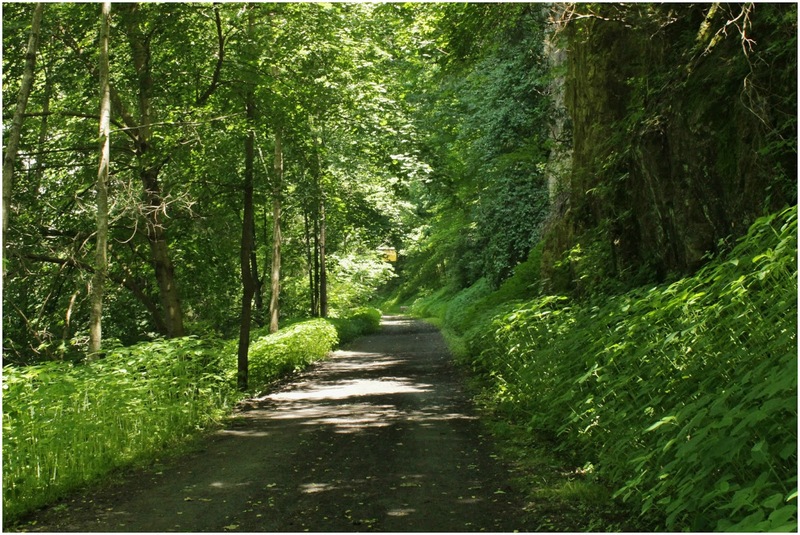 The New River Trail State Park is a 56-mile linear park that passes through four counties. 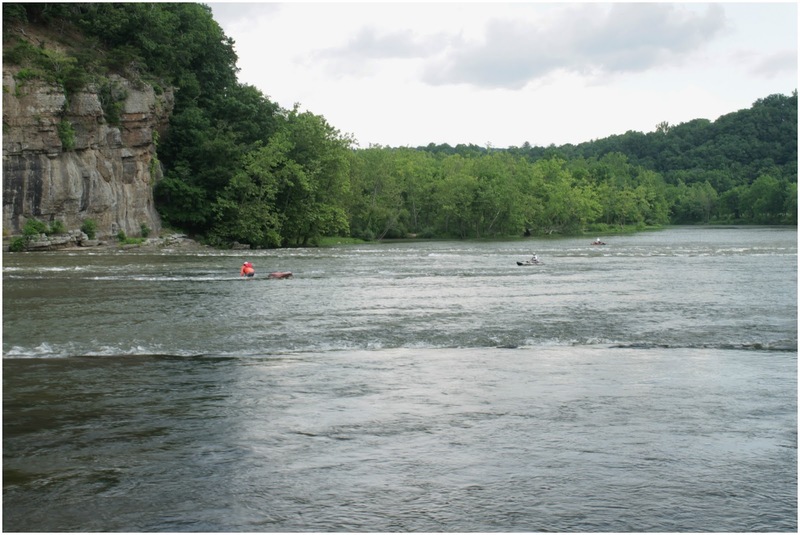 It follows an abandoned railroad right-of-way and 39-miles of it parallels the New River. 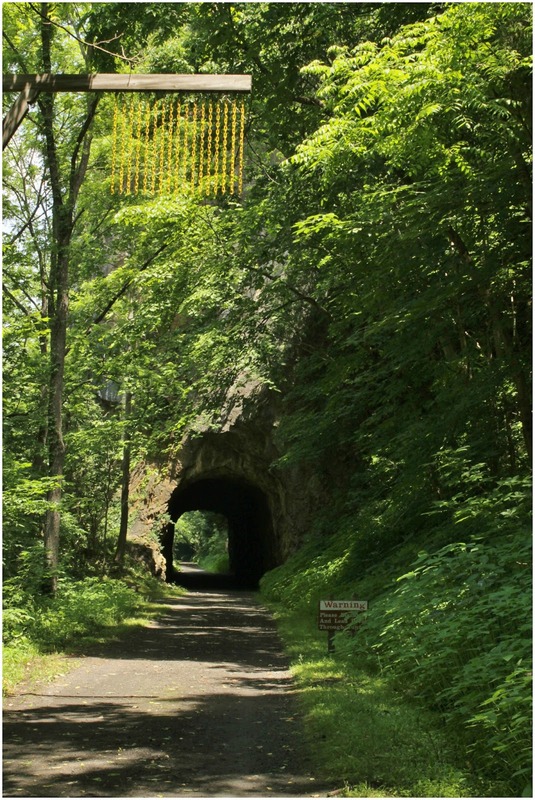 The Norfolk Southern Corporation donated this section of the abandoned railroad right-of-way to the Commonwealth of Virginia in December 1986. 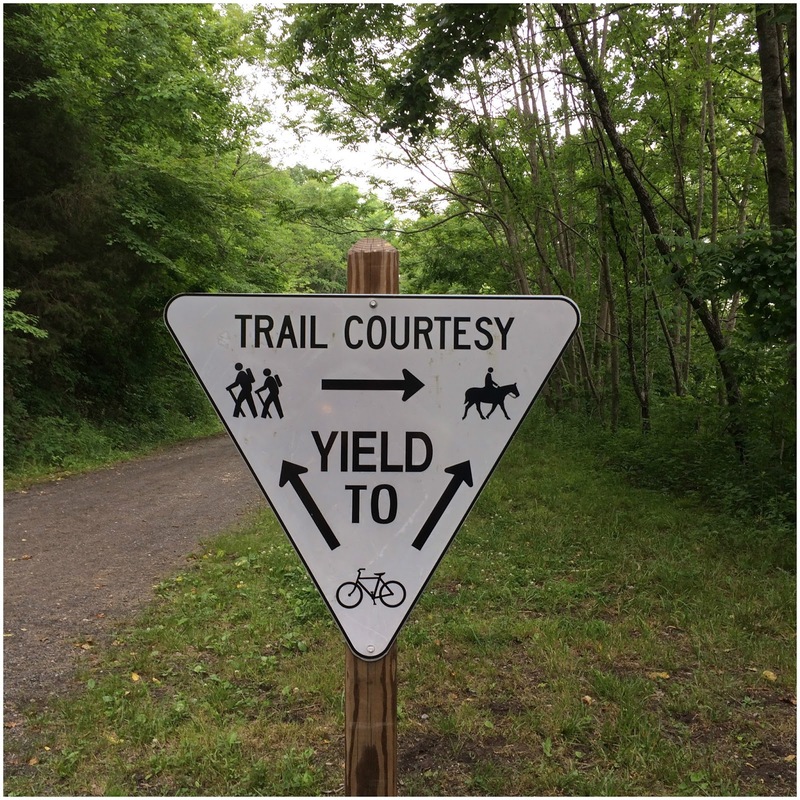 The trail is a mix of asphalt and small gravel, and is shared by hikers, bikers and horse back riders. All most the entire trail is handicap accessible. 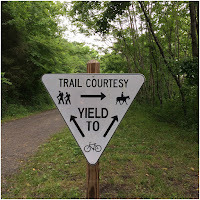 There are places along the way to park and access the trail, as well as places to rent bikes, fish, camp, shop, launch a canoe or kayak, or just sit and enjoy the peace and quiet. 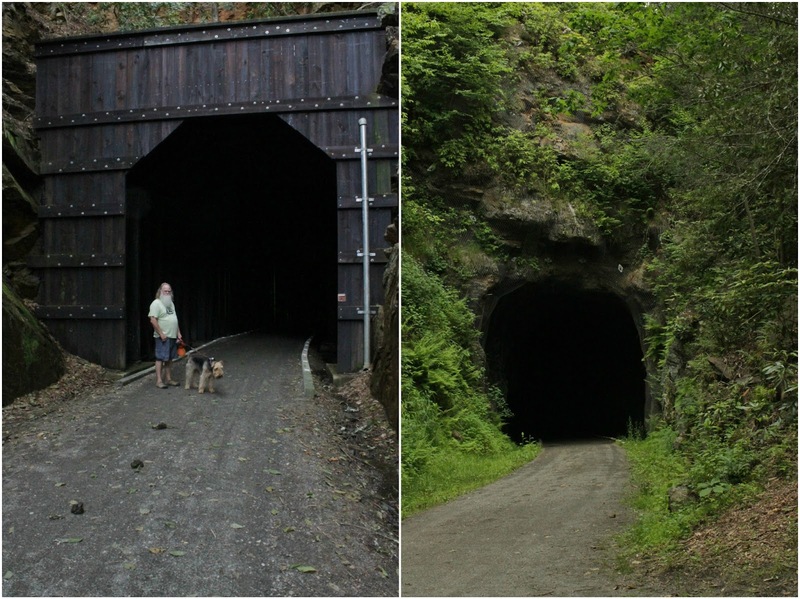 There are two tunnels, one 135-feet and the other 193-feet. A number of large and small bridges and a historic shot tower that you can climb to the top of. 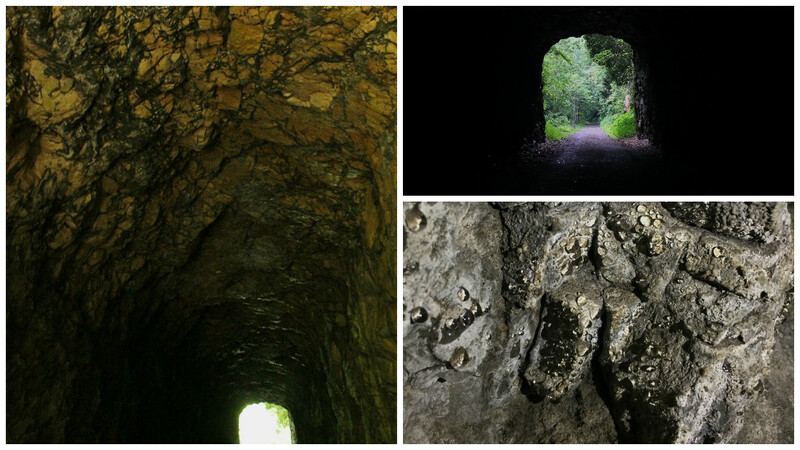 We went to four of the stops and saw the two tunnels on our hikes. First stop was Foster Falls, there is a Ranger Station here, as well as a tenting campground. There are a number of old buildings, an amphitheater and horseback riding tours. The campground is right on the river, this section has a number of rapids and is popular with kayakers, just as this picture was snapped the kayak flipped over. 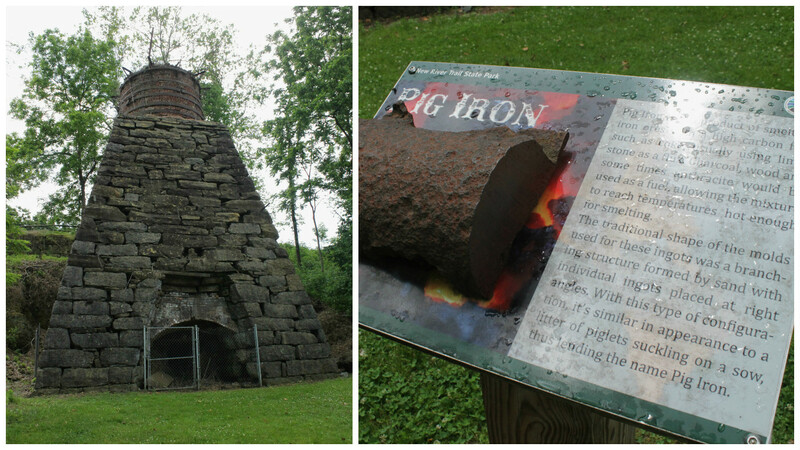 A portion of an old iron furnace is here as well. Due to the high mineral content of the area dozens of furnaces and forges dotted the New River Valley. This furnace was built by the Foster Falls Mining and Manufacturing Co in 1880-1881 and was water powered from the New River. The iron that was produced here was called Pig Iron, it is the product of smelting iron ores with a high carbon fuel such as coke, usually using limestone as a flux. The traditional shape of the molds, made the iron resemble a litter of piglets suckling on a sow, which is how it got the name Pig Iron. Next stop was the Shot Tower, the building is deceiving from the outside. We saw one in Duluth, MN that resembled a very tall smoke stack. The secret to this one is that it sits on a shaft that equals the 75-feet you see above ground. This made the total drop 150-feet, which is the height needed to form a perfect round ball. There was a tunnel at the base of the river that allowed workers to retrieve shot from the bottom of the shaft. For over 30-years the Jackson Ferry Shot Tower manufactured ammunition. Thomas Jackson, came to the U.S. from England to work for Moses Austin who was looking for experts in mining and lead work. Jackson was an industrialist and experienced miner who brought with him the trade secret of "drop shot", a process refined by craftsman William Watts of Bristol, England. The Shot Tower took over 5-years to build and was completed in 1807. According to tax records it was the first factory to mass-produce shot on American soil. This tower produced ammunition for shotguns, mainly "fowl shot". 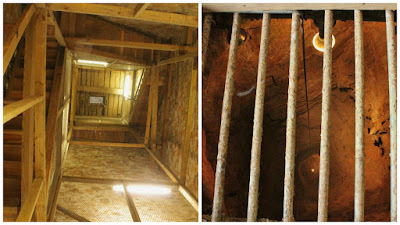 Right: Looking down into the 75-foot shaft. 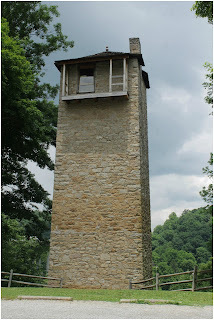 ~Workers would hoist lead to the top of the tower, using a pulley system. ~Then the lead was smelted and arsenic added to make it more pliable. ~Metal sizing sieves, like large pasta strainers with different sized holes were used. This allowed them to make more than one size shot. ~The molten lead was poured into the sieve, it free fell through the tower into the water at the bottom of the shaft. The water wasn't for cooling, but acted as a cushion to prevent deforming the shot. ~The shot was dried and polished with graphite and sold on site or shipped down the river. 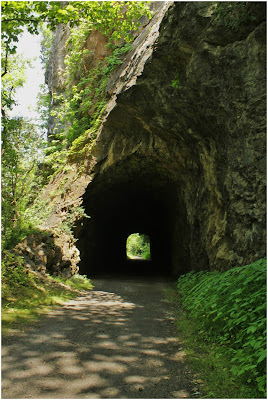 Austinville was the third stop, this was the trail to the 135-foot tunnel. You follow along the river at this point, the path is so lush and green. 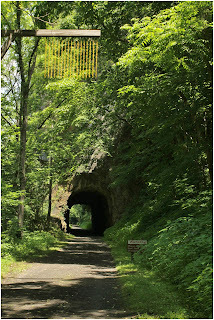 As you approach the tunnel you can see yellow chains hanging from a post on the side of the path. 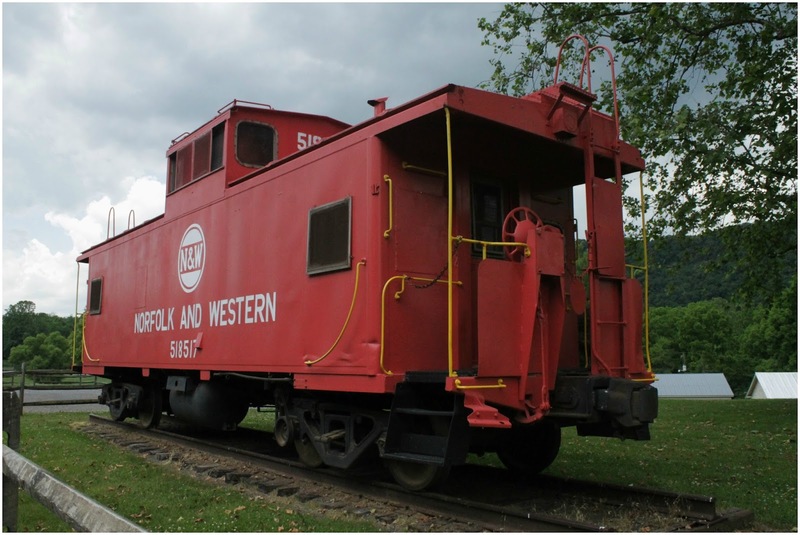 They are a representation of the N & W Railroad "Telltale - Bridge and Tunnel Warning System". On mainlines the telltale was placed 100 and 500 feet from a bridge or tunnel that was less than 72-feet from the top of the rail. 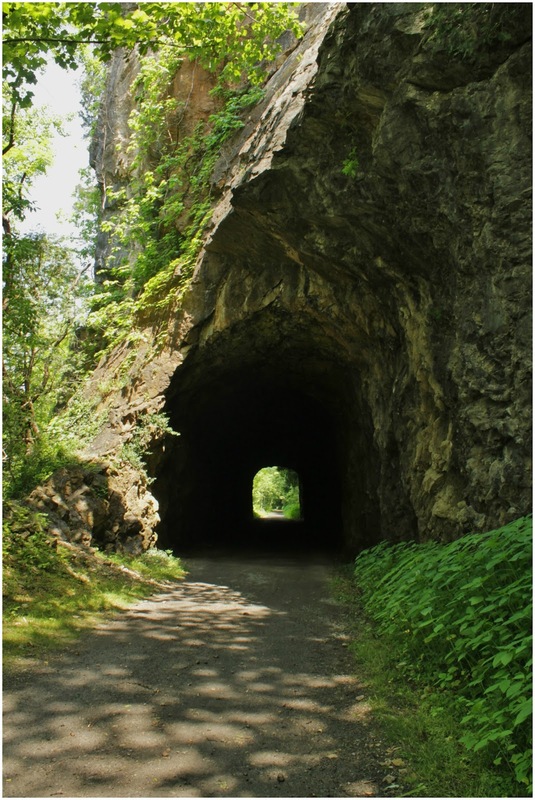 The ends of the telltale were kept lower than the lowest part of the bridge or tunnel. This warned any railmen on top of the train that a low structure was approaching, they could then duck or leave the top of the train. 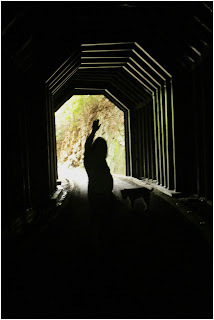 Due to the short length of the tunnel you could see through to the other end. Inside was very damp and wet, with lots of condensation on the walls. The rocks were quite pretty. 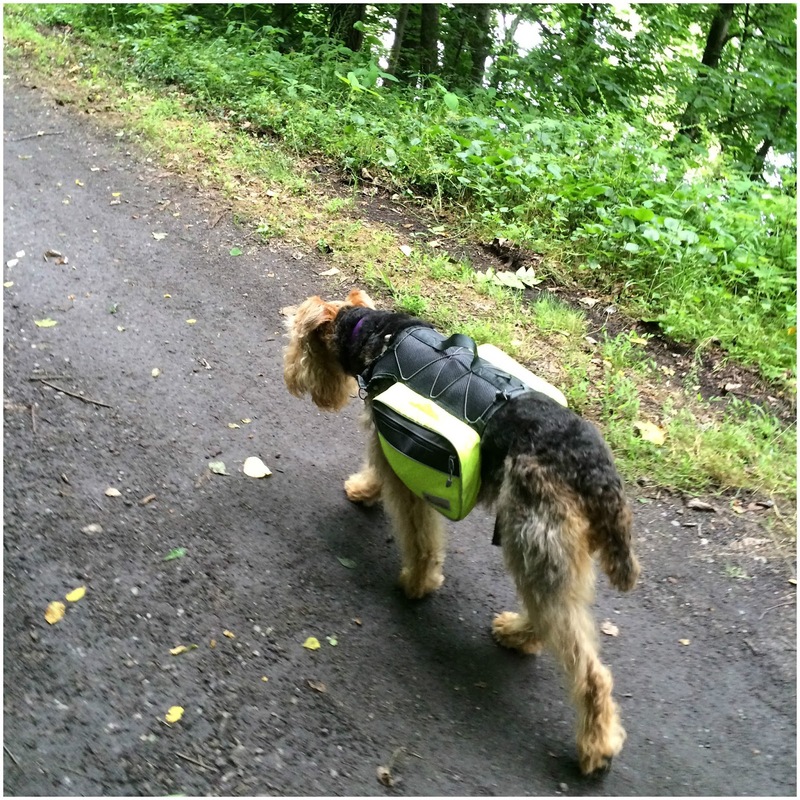 We tried out Mielikki's new back pack and it was a hoot! We now know how to calm her down on a walk, she was walking like an old lady, way behind us. The next stop took us to Fries, a small town right on the river. We parked at a trail head that comes out at a beautiful park. We headed off looking for the second tunnel, after asking directions, only to find we had parked in the wrong lot and the hike would have been about 15-miles. 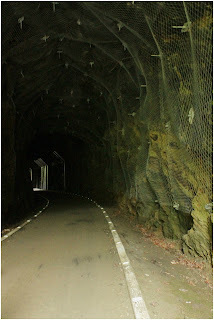 Luckily bikers past us and we ask them about the tunnel and discovered our blunder. We had only walk about a 1/2-mile so it wasn't as bad as it could have been and the view of the river was pretty nice. 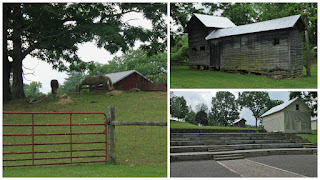 The correct parking area is in Gambetta, down a long and winding road through farmlands. 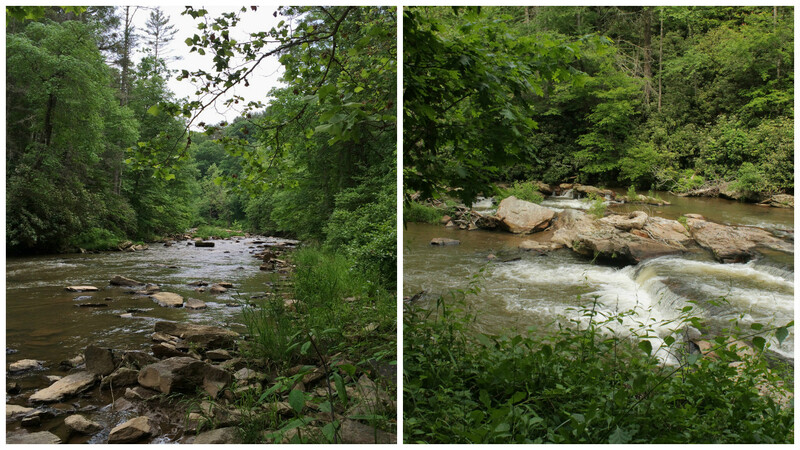 The hike was a little longer than we had figured, a couple of miles, but the trail is lush and runs along side the river. This tunnel is 195-feet and has a small curve at the end so you can't see straight through. It was a little dark in the center. 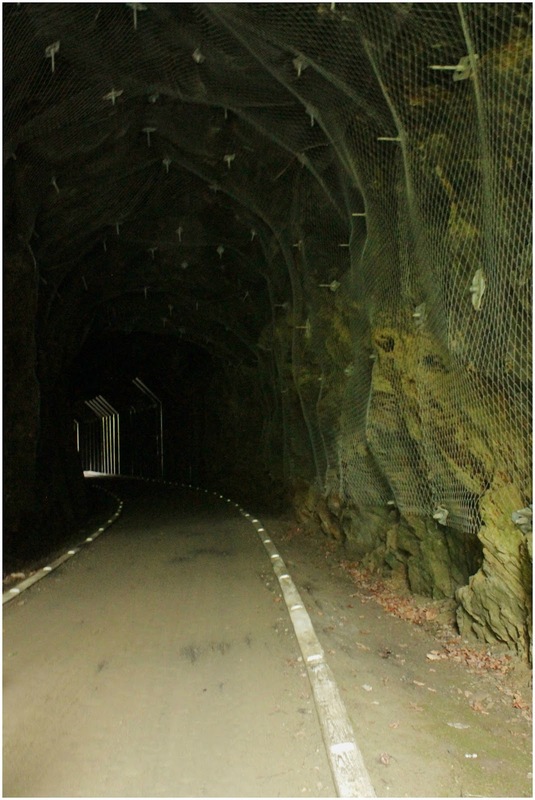 The entire tunnel has been supported with wire mesh and a cap on one end. 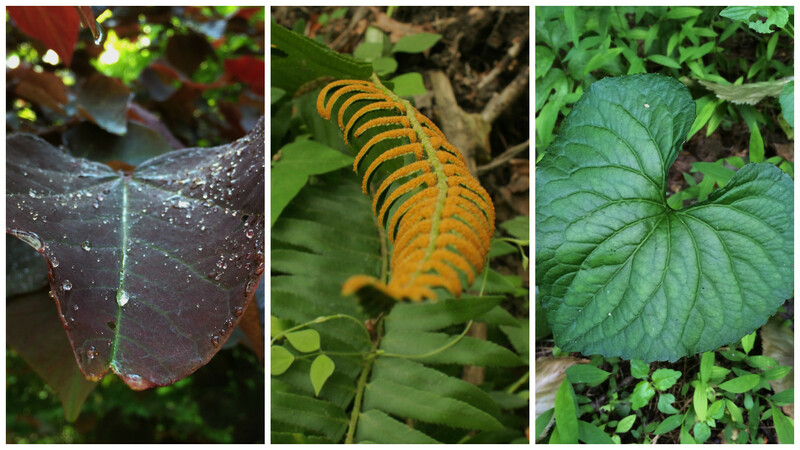 As always Nancy found interesting leafs and ferns. It rained off and on throughout the day, once again we were lucky enough that it rained while we were driving from place to place and not while hiking. He was a beautiful guy, and such soulful eyes. We always think about our daughters mother-in-law, Anne when we come across turtles as she loves all of them. Heading to Four Oaks, North Carolina next. The original plan had us heading northeast but we have rerouted our path to attend a family wedding in Florida mid June. We wish we had followed this advice before now - so if you have an RV or trailer and you haven't plugged up the holes that your pipes and wires come through you might want to add it to your to-do list. We used steel wool and filled all of the smaller holes - some were to big, but you can get sheets of it that will work in the larger areas. Caulking the area or using a expanding foam to fill the gaps is another idea. There are a number of different things to try and some would work in a home as well. 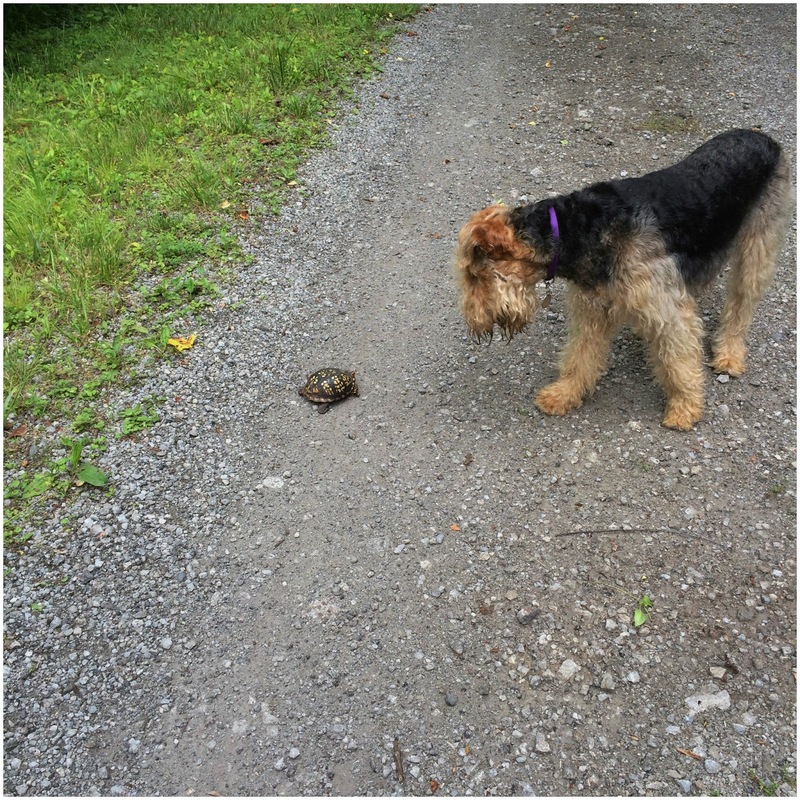 Depending on who you talk to the success rate varies. Moth balls - not sure we could handle the smell - but when the RV is in storage this might work. Electronic rodent repeller - these come in both battery operated or plug in and seem to range from $20 - 50 online. 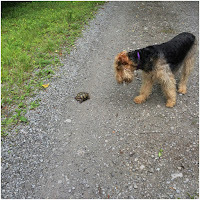 Poison pellets or traps - when using poison be careful if you have pets or children. Thank you for posting such amazing pictures in your post. I really liked your post and I will definitely share this beautiful blog. Thank you so much - we have had fun creating all these memories. Good to know you have moved to Virginia its a nice place. But i loved the places you visited on your journey to your new home town. We haven't moved to Virginia - just passing through, we are still on the road full time - currently in northern CA. Thanks for following our adventures.